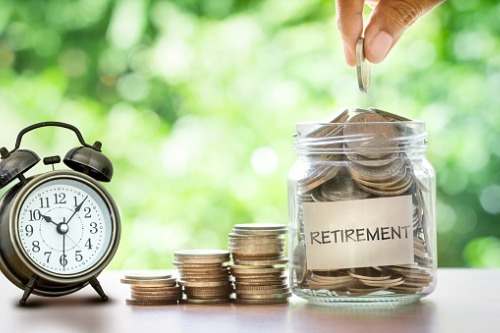 The latest edition of BMO Financial Group’s Registered Retirement Savings Plan (RRSP) study has found that the amounts held by Canadians in their RRSP have increased, with survey participants contributing higher amounts prior to the March 1 deadline this year. “The average amount held in RRSPs nationally is $101,155, a 21 per cent increase from 2016 ($83,635),” the company said. The poll also found 62% of participants are already planning or done with their RRSP contributions before the deadline; those who have already done so put in an average of $5,247 in 2018. “While balances typically rise due to contributions and asset appreciation, it is important to note Canadians of all generations are saving for retirement despite financial priorities and market volatility,” said Robert Armstrong, vice president for Multi Asset Solutions, BMO Global Asset Management. The survey found a 30% increase in amounts held — from $137,360 in 2016 to $178,664 in 2018 — among accounts held by boomers. Millennial-held accounts saw a higher percentage increase of 87% over the same period, from $15,377 to $28,821. “It is encouraging to see a national shift in the attitude and approach to retirement – especially amongst Millennials surveyed,” Armstrong added. While RRSP withdrawals have decreased by a third in frequency since 2017, Canadians who dip into their retirement savings before age 71 are taking out larger amounts. From $20,952 in 2017, the average amount withdrawn across Canada rose to $25,779. “Buying a home remains the top reason for withdrawing funds according to those surveyed,” Armstrong said. He noted that Canadians are continuing to take advantage of the federal government's Home Buyers' Plan, which lets first-time homebuyers withdraw up to $25,000 tax-free from their RRSPs (which must be returned to the RRSP over 15 years) to purchase or build a qualifying home. And even though Canadians are braving the volatility of the markets as they plan for retirement, the respondents saw themselves as “cautious” investors who “play it safe.” Forty-two per cent identified themselves as “not knowledgeable,” and 29% considered themselves “newbie” investors. “With 71 per cent of people identifying themselves 'cautious' investors, a major opportunity has presented itself for Canadians to connect with investment advisors to seek out best options," Armstrong said.